Even when a defendant is guilty, the prosecution must prove guilt beyond a reasonable doubt in a court. Within the criminal justice system, all persons are considered innocent until proven guilty. Many people who are arrested and charged with a crime are, in fact, guilty. Although some people profess their innocence, they may do so to protect themselves from penalties and incarceration. Even when people are guilty of a crime, their guilt must be proven in court by the prosecution. Since the burden of proof falls on the prosecution, a defendant can benefit from having a criminal defense attorney in his/her corner. 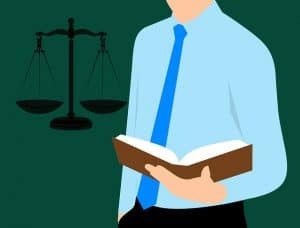 Although the law does not require a defendant to work with a criminal defense attorney, a lawyer may be helpful in getting charges dismissed and avoiding a conviction. It’s important for a defendant to remember that his/her guilt must be proven beyond a reasonable doubt. If facts surrounding the crime are questionable or evidence was mishandled during the investigation, the prosecution may not be able to prove guilt, even if the defendant committed the crime. A criminal defense attorney is ethically bound to make sure a defendant understands the charges, the potential penalties if found guilty, and the strengths and weaknesses of the prosecution’s case. When a person is arrested and charged with a crime, he/she can enter a plea of guilty, not guilty, or no contest. The first step in a criminal case is an arraignment where a defendant is brought before a judge. If the defendant pleads guilty to the crime, a judge may impose a sentence the same day. If the defendant pleads not guilty, the judge will generally set conditions of release and order the defendant back to court on a later date. The case will be set for a pretrial or settlement conference, a hearing to reach some type of plea agreement. If the case isn’t resolved with a pretrial or settlement conference, the case will be set for trial. If a defendant pleads guilty, he/she must understand the implications of the guilty plea. Depending on the crime, convictions carry serious consequences including fines, penalties, and jail time. While misdemeanor offenses carry a $1,000 fine and up to 90 days in jail, gross misdemeanor offenses carry a $3,000 fine and up to one year in jail. Felony offenses, depending on the type of offense, carry fines that range from $10,000 to $40,000 and prison sentences that range from five years to life. Before a case goes to trial, a settlement conference will be set to discuss a plea agreement. Without a criminal defense attorney, a defendant is at a great disadvantage. An experienced prosecutor who handles plea agreements on a regular basis often easily convinces a defendant to take a plea deal by making it seem like no big deal. Criminal cases often involve plea deals where a defendant’s sentence is reduced for pleading guilty to criminal charges for one or multiple crimes. They are commonly used in criminal cases where there is overwhelming evidence of a defendant’s guilt. Plea deals are often negotiated by prosecutors because they allow fast resolution, free up court dockets, and reduce court costs. Plea deals generally benefit the court system, but make a defendant’s appeals for new trials and release much more difficult. Cases that involve plea deals are difficult to reopen. Prosecutors often prevent the introduction of any new evidence and refuse to reexamine any old evidence. If a judge orders a new trial, prosecutors usually defend plea deals that uphold convictions and keep people in jail. If a defendant pleads guilty or no contest to a crime, there is no trial. The defendant’s guilt is established immediately and results in a criminal conviction. The conviction shows up on the defendant’s criminal record, and he/she will lose any rights and privileges that may not be taken away without a conviction. Criminal cases are complicated and convictions often have negative life-altering effects. Even if a person is guilty of the crime he/she is charged with, having a strong criminal defense can change the outcome of the case. Depending on the type of offense and the defendant’s history, a criminal defense attorney may be able to have the penalties reduced if the defendant is convicted.